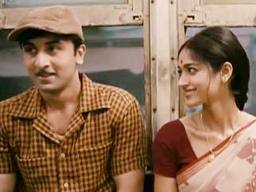 Ranbir Kapoor-starrer Barfi! has been nominated as India's entry in the category of 'Best Foreign Language Film' at the Oscars in February next year. The film, directed by Anurag Basu which also features Priyanka Chopra, has beaten 19 other films to be named India's official entry to the Oscars. It registered a powerful box office collection in its opening week, by earning Rs. 58.6 crore. The film, about love between differently-abled - a deaf and mute boy and an autistic girl - opened in approximately 700 screens in India on September 14. "Barfi! is the Indian entry to the Oscars. We selected it to represent the country out of 20 films," Supran Sen, secretary general of the Film Federation of India, told PTI. Ranbir Kapoor said, "It feels great. But there's still a long way to go. The Oscars has to select it in the best five nominee's list. Priyanka Chopra, who is currently out of the country, tweeted "Yaaaaaay! !India's official entry to the Oscars. Disney UTV, the producer and distributor of the film, was ecstatic at the success. That Barfi! has been selected to represent India as its official entry to the Academy Awards 2013. Barfi! is very close to the hearts of all of us at UTV, and it gives great satisfaction that a film have developed and nurtured from its inception has met with so much love from audiences and critics worldwide. The fourth UTV film in the last seven years to have been selected to represent India at the Academy awards; our earlier selections being Rang De Basanti, Harishchandrachi Factory and Peepli Live.. 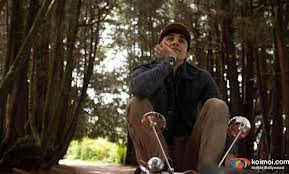 The romantic comedy has touched viewers and critics alike with its simple, but powerful narrative. The film marked the Bollywood debut of southern actress Ileana D'Cruz, who has also been appreciated for her performance.